Perfecting one's character since 1991. 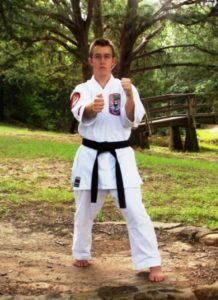 The Instructors at Texas Isshinryu Karate Kai have gone through vast amounts of training and mentor-ship and have years of experience. Due to their selfless dedication to Isshinryu and the Dojo, They are well experienced in the ability to convey the principles and science of techniques safely to make the art effective and fulfilling. 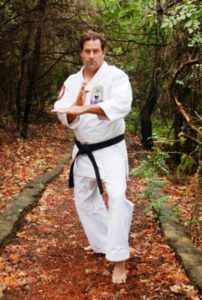 Soke Robert A. Kristensen is the Founder and Chief Instructor and oversees all training at Texas Isshinryu Karate Kai. 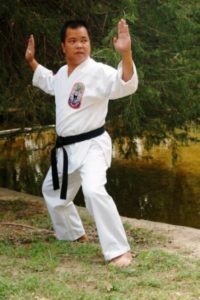 He has been studying karate for more than 45 years and over 35 years in Isshinryu Karate. He was a world champion competitor and Top 10 competitor in Texas for over ten years. He has trained under Shihan Dale Jenkins and Hanshi William H. Duessel. He also holds black belts in Goju-ryu and Judo. In 1997, he was honored by being inducted into the Texas Martial Arts Hall of Fame, and later became the Vice President of the Texas Martial Arts Hall of Fame. In 2005 he was inducted into the prestigious Isshinryu Hall of Fame and currently serves as a Board Member. He was inducted into the USA Hall of Fame, and the World Head of Families Sokeship Council Hall of Fame. He is a member of the United Isshinryu Council, the Texas representative of the Isshinryu World Karate Association and the Universal Martial Arts Hall of Fame. He is a member of the International Police Tactics Instructors Association and is a certified Aerobics Instructor and Personal Trainer. Soke Kristensen, a Vietnam Veteran, was also presented with the Veterans Distinguished Honor Award by the 2000 Universal Martial Arts Hall of Fame for his service in Reconnaissance Attack Squadron 6, United States Navy; he also served as shore patrol in Sasebo, Japan. Soke Kristensen is a Kudan (9th degree black belt), currently teaching eight classes each week at the Grapevine Main Dojo location. Kyoshi Maria Kristensen’s Isshinryu Karate training began in 1987 in New Jersey under Soke Robert A. Kristensen. She earned the rank of Sho-Dan in 1994 and the rank of Ni-Dan in 1997. She also obtained a green belt in the art of Goju-Ryu and trained one year in Tae Kwon Do in 1974. 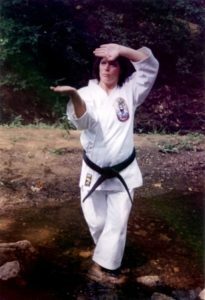 She was inducted into the Texas Martial Arts Hall of Fame in May 1998 as Instructor of the Year, Okinawan Martial Arts. Kyoshi Kristensen was promoted to the rank of San-Dan and given the title of Sensei on April 18, 1999/ She was promoted to the of Yon-Dan at the 2001 Gasshuku and Shiai on April 22, 2001. She earned the rank of Go-Dan on August 26, 2006 and received the rank of Renshi on December 2, 2006. At the April 2010 Gasshuku and Shiai she earned the rank of Roku-Dan and the title of Shihan. At the Winter Shiai on December 12, 2015, she earned the rank of Sichi-Dan and the title of Kyoshi. Kyoshi Kristensen primarily teaches at the Main dojo in Grapevine, TX. 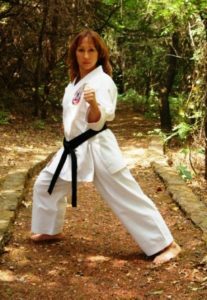 Renshi Susan Harris began her training at Texas Isshinryu Karate Kai in 1995 under Soke Robert A. Kristensen, 9th degree Black Belt. She is a World Champion, 5th degree black belt. In 1998 she was recognized as a Top Ten competitor in the Traditional Karate League and in 1999 she was recognized with the Mother of the Year award. Throughout her karate training she has consistently been a Top 3 competitor in tournaments. As a San-Kyu she won 1st place in kata at the Isshinryu World Championships in New Jersey. She received her Sho-Dan in 1999 and her Ni-Dan in 2002 and has been consistently awarded with first place trophies in Isshinryu World Karate Association Tournaments in both empty hand and weapons competitions. As a Ni-Dan in 2003 she won 1st place in kata and competed for Grand Champion at the Isshinryu World Championship for Grand Champion at the Isshinryu World Championship in Dallas, Texas. Outside the dojo, she is a wife, a mother of two sons, and a Registered Nurse. Renshi Harris earned her San-Dan and the title of Sensei on April 17, 2005 at the Gasshuku and Shiai and earned the rank of Yon-Don in December 2009. On April 14, 2013 in a special ceremony, she was advanced, along with Renshi Thomas and Renshi Palos, to the rank of Go-Dan and received the title of Renshi from Soke Robert A. Kristensen. This was the first time in TIKK history that 3 Yon-Dan’s were promoted at once and received the title of Renshi. Renshi Harris continues her training at the Grapevine, TX dojo. Renshi Tommy Thomas began his training in the early 1970’s studying Shorin-Ryu. In the mid 1980’s he moved to South Carolina and started training in Tae Kwon Do. In 1995 he began his training in Isshinryu Karate under Soke Robert A. Kristensen. He earned his Sho-Dan in 2000. Renshi Thomas was presented with the Veterans Distinguished Honor Award by the 2000 Universal Martial Arts Hall of Fame. Renshi Thomas is a Vietnam Veteran and was awarded two Purple Hearts during his service to our country in the United States Army. He consistently placed 1st in kumite and has competed for Grand Champion many times including the Isshinryu world Karate Association 2001, 2003, and 2005 Championships. Renshi Thomas was promoted to Ni-Dan in March 2003 and San-Dan in December 2006. He received the Spirit of Isshinryu Award at the 2012 Isshinryu Hall of Fame Induction ceremony and tournament in Chattanooga, TN. On April 14, 2013 in a special ceremony, he was promoted to the rank of Go-Dan, along with Renshi Harris and Renshi Palos and presented with the title of Renshi by Soke Robert A. Kristensen. This was the first time in TIKK history that three Yon-Dan’s were promoted at once and received the title of Renshi. He primarily teaches at the Main Dojo in Grapevine, Texas. Shihan Tony Palos began his training in 1985 in Corpus Christi, TX. under Sensei Paul Bystedt. After moving to Denton, TX. 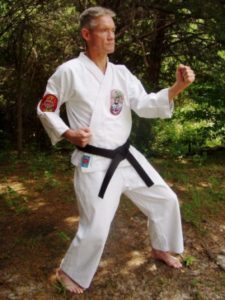 to pursue a music degree, he resumed his training at Texas Isshinryu Karate Kai under Soke Robert A. Kristensen in July 1998 after a 12 year layoff. He was diagnosed with a torn ACL during his Black Belt testing in April 2002 with surgery recommended. Instead, after extensive rehabilitation, he finished his Black Belt testing three months later and earned the rank of Sho-Dan on August 10, 2002. From 2003 to 2013 at the Isshinryu World Karate Association Championships, he consistently placed 1st in kata and placed in the Top 3 in weapons and kumite and has competed for Grand Champion in empty hand kata, and at the age of fifty, Renshi Palos won his first Grand Championship in kata. 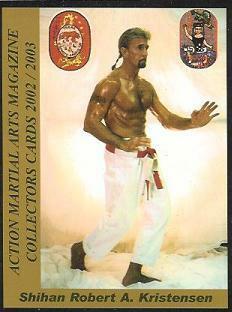 In May 2004 Renshi Palos received a Recognition Award for Outstanding Contributions to the Martial Arts from his teacher, Soke Kristensen, at the Texas Martial Arts Hall of Fame. Shihan Palos was promoted to Ni-Dan on April 17, 2005 at the Gasshuku and Shiai and next earned San-Dan and the title of Sensei on April 15, 2007 at the Gasshuku and Shiai. 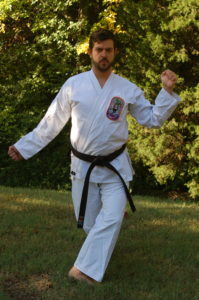 In 2009, he was nominated for Instructor of the Year at the Isshinryu Hall of Fame in Tennessee. He earned the rank of Yon-Dan on April 25, 2010 at the Gasshuku and Shiai. On April 14, 2013 in a special ceremony, he was promoted to the rank of Go-Dan, along with Renshi Harris and Renshi Thomas and presented with the title of Renshi by Soke Robert A. Kristensen. This was the first time in TIKK history that three Yon-Dan’s were promoted at once and received the title of Renshi. In 2015, he was recognized as Instructor of the Year at the Isshinryu Hall of Fame. He continues to train at the Grapevine, TX. dojo and is Head Instructor, along with his wife, Renshi Sensei Tina Palos, at the Brickhouse Gym in and the Denia Recreation Center in Denton, TX. 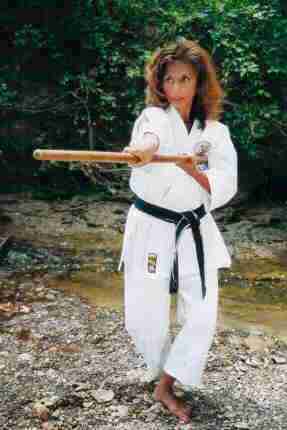 Renshi Sensei Tina Palos began her training in 1985 in Corpus Christi, TX. under Sensei Paul Bystedt. After moving to Denton, TX. to pursue her music degree, she resumed her training at Texas Isshinryu Karate Kai in July 1998 under Soke Robert A. Kristensen. Renshi Palos earned her Sho-Dan on March 30, 2003 at the Gasshuku and Shiai along with Sensei Rupp and Sensei Gellman. This was the first time three people were tested at once in TIKK history. She was also honored as Most Outstanding Female Karateka of the Gasshuku by the Black Belts in 2003. At her first tournament as a Sho-Dan, the 2003 Isshinryu World Karate Association Championships, she took 3rd place in kata and kumite. In May 2004, Renshi Palos received a recognition Award for Outstanding Contributions to the Martial Arts from her teacher, Soke Robert A. Kristensen at the Texas Martial Arts Hall of Fame. Renshi Tina Palos was promoted to Ni-Dan on February 18, 2006 at a special Black Belt workout and earned the rank of San-Dan and the title of Sensei on August 23, 2008. 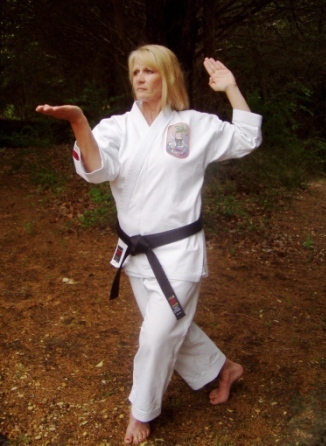 In 2009, she was nominated for Instructor of the Year at the Isshinryu Hall of Fame in Tennessee. On April 10, 2011, she earned the rank of Yon-Dan. At the April 6, 2014 Gasshuku and Shiai, Renshi Palos earned the rank of Go-Dan and title of Renshi. In 2017, she was recognized as Female Instructor of the Year at the Isshinryu Hall of Fame. She continues her training at the Grapevine, TX. Dojo and is Co-Instructor at the Brickhouse Gym in Denton, TX. and the Denia Recreation Center in Denton, Texas. 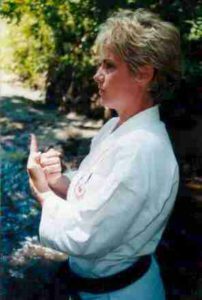 Sensei Jeannie Rupp started her training in California in February 1996 with American Karate. Her husband’s career transferred the family to Dallas, TX. in October 1999. 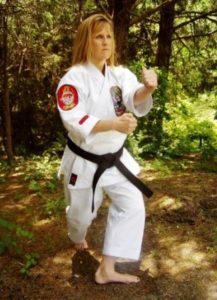 Prior to the move Sensei Rupp contacted Soke Kristensen and began her training at Texas Isshinryu Karate Kai in January 2000. Sensei Rupp earned the rank of Sho-Dan in March 2003. She placed 2nd in kata at the Isshinryu World Karate Association Championship in June 2003. This was her first tournament as a new Sho-Dan. Sensei Rupp was promoted to the rank of Ni-Dan in April 2006 at the Gasshuku and Shiai. She received the rank of San-Dan and the title of Sensei in August 2009. On April 14, 2013 in a special ceremony, she was promoted to the rank of Yon-Dan. Sensei Rupp is currently the Head Instructor at the Granbury, TX. Dojo and continues her training at the Grapevine, TX. Dojo. Sensei Steve Gellman began his training in 1993 in a junior class with his children then 3 1/2 and 41/2 years old. He is a Physician at the Coppell Family Medical Center in Coppell, TX. His wife, Robbie, and children, Rossie and Russell, were all students at Texas Isshinryu Karate Kai at one time. As a Brown Belt Sensei Gellman earned 2nd place at the 2001 Isshinryu World Karate Association (IWKA) Tournament in Indianapolis, IN. He was awarded his Sho-Dan on March 23, 2003 and his Ni-Dan on April 15, 2007. At the August 27, 2011 Shiai he was promoted to the rank of San-Dan and at the Summer Shiai on August 25, 2013 he earned the title of Sensei. Sensei Gellman earned the rank of Yon-Dan on April 19, 2015 at the Spring Shiai. He continues his training at the Grapevine, TX. Dojo. Sensei Kyle Murray began his training with TIKK in September 1997 as a seven-year-old White Belt in the junior class under Kyoshi Maria Kristensen. In April 2006, he was honored as the Outstanding Male Karate-ka at the Gasshuku. He became the first teenager to earn the rank of Sho-Dan in TIKK history on April 15, 2007. He was promoted to Ni-Dan April 25, 2010. In August 2010 he started the Baylor Isshinryu Karate Club while attending Baylor University in Waco, TX. Sensei Murray graduated from Baylor University in December 2012. On April 14, 2013, he was promoted to the rank of San-Dan and received the title of Sensei from Soke Robert A. Kristensen. He was also honored as TIKK’s first Outstanding Black Belt Karate-ka at the 2013 Gasshuku. He is the head instructor at the Coppell and Trophy Club Dojo. Sensei Kyle Murray was promoted to the Yon-Dan at the April 2017 Shiai. Sensei Murray continues his training at the Grapevine Dojo. Sensei Carol Gue began her training in New Jersey in April 1994 with American Budo Kai and achieved the rank of Brown Belt. When her professional career transferred her to the city of Plano, TX. 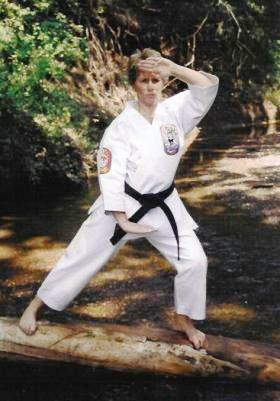 in 1998 she quickly joined Texas Isshinryu Karate Kai and began her Isshinryu training under Soke Robert A. Kristensen. Sensei Gue received her Sho-Dan on April 22, 2001 at the Gasshuku and Shiai. At her first tournament as a Black Belt, the Isshinryu World Karate Association Championship, she placed 3rd in kata. She earned the rank of Ni-Dan in April 2006 at the Gasshuku and Shiai and was promoted to San-Dan in April 2011 at the Gasshuku and Shiai. Sensei Carol Gue continues her training in Isshinryu at the Grapevine, TX. Dojo. 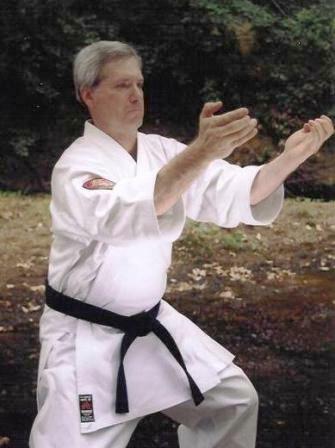 Sensei Michael Strickland began training in 1985 in Tae Kwon Do. After a year of training he began searching for a traditional karate school which led to his introduction into Isshinryu in 1993 under Christian Karate of American. In 1995 Sensei Strickland began training with Texas Isshinryu Karate Kai after his previous school was dissolved. After a layoff of 9 years he resumed his training in 2005. He earned his Sho-Dan on April 13, 2008 at the Gasshuku and Shiai and the rank of Ni0DAn on August 27, 2011. He earned the rank of San-Dan and the title of Sensei on August 23, 2014 at the Summer Shiai. In 2015 he was nominated as Male Karate-Ka of the Year at the 2015 Isshinryu Hall of Fame Tournament. He earned his Yon-Dan on April 15, 2018. Sensei Strickland continues his training at the Denton, TX dojo. Sensei Mike Harper started his training in the Dallas, TX. area as a white belt in Isshinryu Karate in November 1999. He joined Texas Isshinryu Karate Kai in September 2004 as a San-Kyu on the recommendation of his teacher to learn from Soke Robert A. Kristensen. At the 2003 Isshinryu World Karate Association (IWKA) Tournament he won 3rd place in kumite, in 2005 he won 2nd place in kumite and in 2007 he won 1st place in kumite and 2nd place in kata. At the 2014 Isshinryu Hall of Fame (IHOF) Tournament in Gatlinburg, TN., Sensei Harper won 1st place in weapons, 2nd place in Kata and had the privilege of competing for Grand Champion. He also placed in the Top 3 in kumite in several North Texas tournaments and in Louisiana as well. Sensei Harper earned his Sho-Dan on April 13, 2008 and the rank of Ni-Dan on August 27, 2011. At the Summer Shiai on August 23, 2014 he earned the rank of San-Dan and the title of Sensei. He earned his Yon-Dan on April 15, 2018. He is a co-instructor at the Plano Dojo and continues his training in the Grapevine Dojo under Hanshi Kristensen. Sensei Mark Hendrix started training with Texas Isshinryu Karate Kai in August 2001 at the Plano, TX. Dojo. He earned his Sho-Dan on April 13, 2008 at the Gasshuku and Shiai and then earned the rank of Ni-Dan on August 27,2011. In June 2003 he placed 1st in kata at the Isshinryu World Karate Association (IWKA) Tournament. He is an Engineering Manager in the telecommunications industry and resides in Richardson, TX. with his wife Peggy and two sons Chris and Tim. On August, 23, 2014, he earned the rank of San-Dan and the title of Sensei at the Summer Shiai. He earned his Yon-Dan on April 15, 2018. Sensei Hendrix continues his karate training at the Plano, TX. Dojo where he is also a Co-Instructor. Sensei Laura Murray began her martial arts training at TIKK on April 9, 2002 after watching her three sons train at TIKK for nearly 5 years prior to that. She won 1st place in kata and 2nd place in kumite at the 2003 Isshinryu World Karate Association (IWKA) Tournament in Dallas and earned 2nd place in kata at the 2005 IWKA Tournament in Akron, OH. At the 2006 Gasshuku she was awarded Outstanding Female Karate-Ka with Sensei Tracy Dickey. As an Ik-Kyu, she won 1st place in kata and 3rd place in kumite at the 2007 IWKA Tournament in Princeton, NJ. 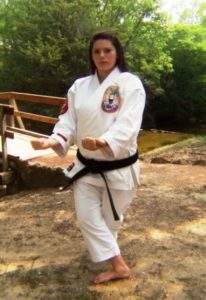 In her first major tournament as a black belt, she earned 2nd place in kumite, 3rd place in kata and weapons at the 2009 IWKA Tournament in Pittsburgh, PA. She earned her Sho-Dan on April 13, 2008 and her Ni-Dan on August 27, 2011. In July 2014 at the Isshinryu Hall of Fame she received the Outstanding Contribution Award for her efforts in promoting Isshinryu and TIKK through more than 180 newspaper articles or photographs published in more than 30 different publications throughout north Texas and for serving as editor of TIKK’s newsletter for 10 years. She earned 3rd place in both kata and kumite at the 2014 IHOF Tournament. She earned the rank of San-Dan on August 23, 2014 and the title of Sensei on December 12, 2015. She earned her Yon-Dan on April 15, 2018. Sensei Murray continues to train at the Grapevine Dojo and co-instructs classes with her son, Sensei Kyle Murray at the Coppell Dojo. 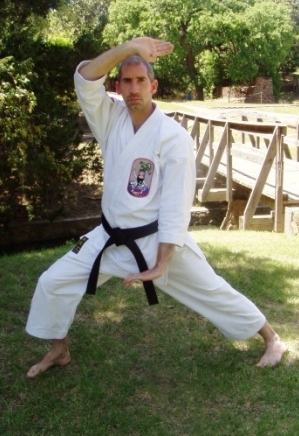 Sensei Glenn Gibbs started his karate training in high school at a Shotokan Dojo in Waco, TX. After a nearly 20 year break, he began training at TIKK in April 2002 at the Coppell, TX. Dojo. At the 2007 Isshinryu World Karate Association (IWKA) Tournament he placed 1st in kata and 2nd in kumite. He earned the rank of Sho-Dan on April 13, 2008 and then earned the rank of Ni-Dan on August 27, 2011. On August 23, 2014, he earned the rank of San-Dan. He earned the title of Sensei at the 2017 Shiai at Camp Summit in Paradise, Texas. He earned his Yon-Dan on April 15, 2018. Sensei Gibbs continues his training in Isshinryu at the Grapevine, TX. Dojo. Sensei Margaret Myers began her training as a White Belt at TIKK on May 28, 2002. She trained at the Coppell, TX. Dojo and competed at the Isshinryu World Karate Association (IWKA) Tournament in 2003, 2005 and 2007 taking 1st place in kata in her respective divisions all 3 years, as well as 2nd in kumite in 2005. Sensei Myers received her Sho-Dan on April 13, 2008 at the Gasshuku and Shiai. This event marked the first time in TIKK history that six students were tested at one time. She was also voted Most Outstanding Female Karate-Ka of the Gasshuku in 2008. At the August 27, 2011 Shiai she was promoted to the rank of Ni-Dan. At the Isshinryu Hall of Fame (IHOF) in July 2014 she placed 1st in kata and kumite. On August 23, 2014 she was promoted to San-Dan and earned the title of Sensei. She earned her Yon-Dan on April 15, 2018. 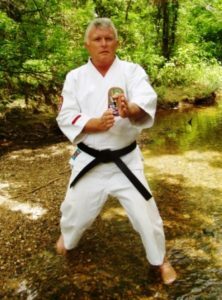 Sensei Myers continues to train at the Grapevine, TX Dojo and teaches at the newly founded Hackberry Dojo in Irving, TX. Sensei Jennifer Wiederkehr began her training in Goju-Ryu before moving to Texas and beginning her training in Isshinryu in March 2003 after the delivery of her first set of twins. She has continued to train at the Grapevine, TX. class with only brief interruptions to deliver 3 more children. At the Isshinryu World Karate Association (IWKA) Tournament in 2003 she took 2nd place in kumite. In 2006 she took 1st place in kumite at the Texas State Championsh9ps. In 2015, Sensei Wiederkehr took 2nd place in kumite at the Isshinryu Hall of Fame (IHOF) Tournament. At the 2007 Gasshuku she was voted Most Outstanding Karate-Ka. Later that same year she was honored as Senior Karate-Ka of the year. In 2008 she shared the honor or Karate-Ka of the Year with Sensei Tracy Dickey. She earned the rank of Sho-Dan on March 29, 2009 and was promoted to Ni-Dan on April 15, 2012 at the 2012 Gasshuku and Shiai. At the April 2015 Gasshuku and Shiai, Sensei Wiederkehr was promoted to the rank of San-Dan and earned the title of Sensei. On April 7, 2019 she was promoted to Yon-Dan. 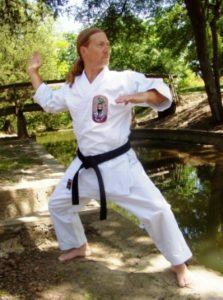 Sensei Wiederkehr continues to train in Grapevine and is the head instructor at the Flower Mound Dojo. Sensei Tracy Dickey started her martial arts training at TIKK on June 3, 2003 at the Plano, TX. Dojo. She earned her Sho-Dan on March 29, 2009. At the 2005 Isshinryu World Karate Association (IWKA) Tournament she placed 1st in Kata and 3rd in Kumite. At the 2007 IWKA Tournament she placed 3rd in kata and 2nd in kumite. At the 2006 Gasshuku she was awarded Outstanding Female Karate-Ka with Sensei Laura Murray. She was also named Outstanding Karate-Ka of the Year in 2008 with Mrs. Jennifer Wiederkehr. On April 15, 2012 she was promoted to the rank of Ni-Dan and on April 19, 2015 she earned the rank of San-Dan and the title of Sensei. At the 2015 Isshinryu Hall of Fame Tournament she was recognized as the Female Karate-Ka of the Year. On April 7, 2019 she was promoted to Yon-Dan. Sensei Dickey continues to train in Grapevine and is the head instructor of the East Plano dojo. Sensei Charles Blommaert started his training in the martial arts at the age of 4 in Shorin-Ryu. After moving to Canton, MI. He began training in Isshinryu at the age of 5 where he received his Brown Belt. After moving back to Texas he had a hard time finding another Isshinryu school and took 5 years off. During the Summer of 2006 he joined TIKK. He received , along with Mr. Black, Most Outstanding Male Karate-Ka of the 2009 Gasshuku. He received his Sho-Dan at the age of 18 on April 10, 2016 at the Gasshuku, and earned the rank of Ni-Dan on August 25, 2012. He is a 2012 graduate of the University of North Texas. Sensei Blommaert earned the title of Sensei at the 2017 Shiai at Camp Summit in Paradise, Texas. Sensei Luke Hutchinson achieved the rank of Sho-Dan on April 10, 2011 and on August 23, 2014 he earned the rank of Ni-Dan. Mr. Hutchinson continues his training at the Grapevine, TX. Dojo and is an Assistant Instructor with Sensei Dickey at the East Plano Dojo. Sensei Taylor Blommaert began her training in New Jersey in September 2001 with Jersey Judo Karate Academy and achieved the rank of Brown Belt. She moved to Plano, TX. in October 2006 and soon joined TIKK to begin her training with Soke Robert A. Kristensen. At age 17 she received her Sho-Dan and the Most Outstanding Female Karate-Ka of the 2011 Gasshuku on April 10, 2011. At the July 2014 Isshinryu Hall of Fame (IHOF) Tournament she placed 2nd in kumite. On August 23, 2014, she earned the rank of Ni-Dan. Sensei Blommaert earned the rank of San-Dan and the title of Sensei on April 16, 2018 at the Gasshuku, as well as receiving Most Outstanding Karate Kai for black belt woman. At the 2016 Isshinryu Hall of Fame (IHOF) Tournament she placed 3rd in kumite and 4th in weapons. 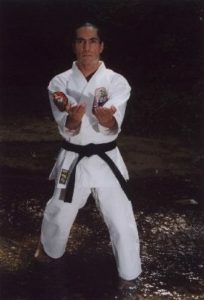 Sensei Blommaert is the head instructor at the Frisco, TX. Dojo, and continues her training at the Grapevine, TX Dojo. Sensei Joey Marcella began his karate training in September 2004 at the age of 40 with his son. 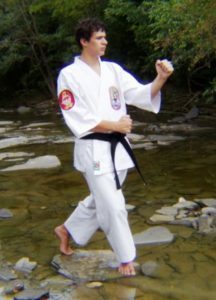 During his training as a Brown Belt, he placed in the Top 3 in the 2010 and 2011 Men’s Advanced Ranks Division for kata. He was selected as the Outstanding Male Karate-Ka for the 2011 Gasshuku. He and his son were the first Father and Son combination to earn their Sho-Dan rank in TIKK history on August 27, 2011. At the 2014 Isshinryu Hall of Fame (IHOF) Tournament he placed 3rd in kata, and in 2016 he took first place in kata in the Men’s black belt division. He earned the rank of Ni-Dan on August 23, 2014. He continues to train at the Grapevine, TX. Dojo. Sensei Jovi Espinosa started training at the Coppell, TX. Dojo in May 2006 upon the encouragement of his daughter already a student. During his training as a kyu rank, he consistently finished in the Top 3 in local and inter-school tournaments. At the 2011 Isshinryu Hall of Fame (IHOF) Tournament in Tennessee, he took 1st place in the Men’s Advanced kata and 4th in kumite. 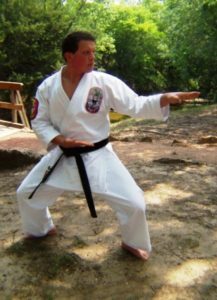 He was selected as the Senior Karate-Ka of the Year in 2009 and again in 2011 when he shared the honors with Mrs. Van Winkle and then Brown Belt Mr. Steve Pergantis. On April 15, 2012 he earned the rank of Sho-Dan becoming the first Filipino student in TIKK history to achieve this status. On April 19, 2015 he earned the rank of Ni-Dan. Mr. Espinosa continues to train with Soke Robert A. Kristensen at the Grapevine, Dojo. Sensei Erik R. Soto began his training in Isshinryu Karate with Sensei Chuck Maynard in July 2006 and continued his teaching for about 1 1/2 years until Sensei Maynard retired. He continued training under Mr. Dennis Przybyla and began teaching at the Nevada Isshinryu Karate Kai Boys and Girls Club Dojo when he received the rank of Ik-Kyu. He earned the rank of Sho-Dan on April 15, 2012. On April 19, 2015, Mr. Soto was promoted to the rank of Ni-Dan. 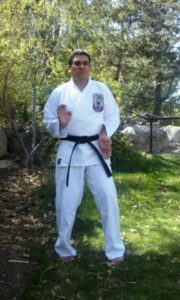 He is the head instructor at the Nevada Isshinryu Karate Kai. Sensei Dianne Van Winkle began training in May 2005 with one of her three children. This inspired her other two children to begin their training as well. 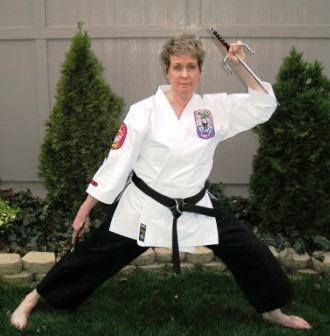 During her training, Mrs. Van Winkle placed in the Top 2 in both kata and kumite competitions beginning in 2006. 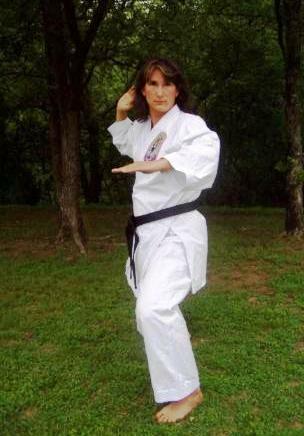 As an Ik-Kyu she placed 3rd in kata at the 2011 Isshinryu Hall of Fame (IHOF) Tournament in Tennessee. She was the 2011 Senior Karate-Ka of the Year along with Sensei Jovi Espinosa and then Brown Belt Mr. Steve Pergantis. She earned her Sho-Dan on April 15, 2012 and earned the rank of Ni-Dan on April 19, 2015. 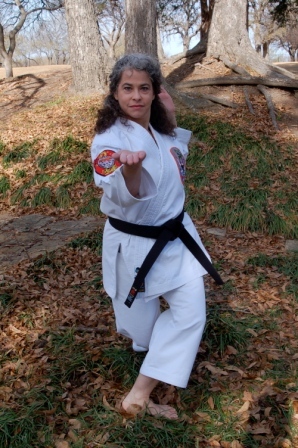 She co-instructs at the Flower Mound dojo and continues to train at the Grapevine, TX. Dojo. 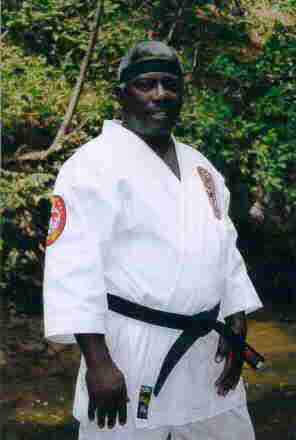 Sensei Daniel Bamper began his training in 1995 in Pennsylvania under Sensei Joe Webb. On February 13, 2003, Sensei Bamper was promoted to Sho Dan. Mr Bamper graduated in 2010 from West Chester University and then moved to Oklahoma in to begin his PhD in Chemistry. While in Oklahoma, he began training in Taekwondo, and currently trains at Century Martial Arts as a third degree black belt under Grand Master Dillard. Sensei Bamper is also co-owner and instructor at Integrity Martial Arts in Moore, OK, where he teaches Taekwondo and Isshin-ryu Karate. After resuming his training in Isshin-ryu in January of 2015, Sensei Bamper was recognized as part of the Texas Isshinryu Karate Kai’s Yudansha in August 2016. He was promoted to Ni Dan by Hanshi Kristensen in August of 2017 and then to Sensei in April of 2018. Sensei Bamper currently continues his training in Isshinryu Karate under Hanshi Kristensen at the Grapevine dojo. Sensei Kelli Marcella began her training in Isshinryu Karate at the age of 44 on February 14, 2007 with two of her three children. During her training she consistently placed in the Top 2 at local and national tournaments in both kata and kumite. She was named Most Outstanding Female Karate-Ka at the April 2010 Gasshuku and later that year was recognized by the Isshinryu Hall of Fame (IHOF) as Female Karate-ka of the Year. Mrs. Marcella earned her Sho-Dan on December 1, 2012, her Ni-Dan April 2016, and was promoted to San Dan and Sensei on April 7, 2019. She instructs at the Decatur, TX Dojo and continues her training at the Grapevine, TX. Dojo.